The Sportsart 1210 treadmill is one of the cheaper treadmills from Sportsart Fitness. However, it still has a price tag above $2,000 so I don’t think a lot of people can manage to buy it. If you want a machine that will give you great value for your money, then this, as well as other Sprotsart treadmills, might be what you’re looking for. But as I’ve mentioned above, this unit doesn’t come cheap. So if you think you can’t afford a Sportsart, I highly suggest you visit our best buy treadmills page and choose a quality machine that fits your budget. This model boasts a 2.7 HP continuous duty motor that serves up speeds of up to 10mph and inclines that reaches 12%(with 1,000lbs thrust lift). So it doesn’t matter whether you’re a beginner or advance runner, this machine can provide you with the intensity you need. The 20” x 58” running surface is huge enough to accommodate users of all size and shapes while the welded steel frame provides a stable and sturdy platform to give you a comfortable workout. The Sportsart 1220 comes with 5 pre-programmed workouts to give you variety and flexibility in your exercise. And if you want to workout in your target heart rate zone, this model also features 2 heart rate controlled programs for a more efficient run. And finally, this unit comes with decent warranties. Its drive motor is covered for 10 years, its frames for a lifetime, its electronics for 2 years, its bumper to bumper mechanical for 5 years and its labor for 1 year. 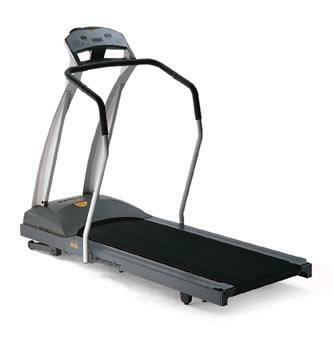 The biggest weakness of this unit is that it provides less value for its price compared to other Sportsart treadmills. I recommend the Sportsart 1210 treadmill. But if you can afford to spend a few hundreds more, I suggest you buy a more expensive Sportsart. They will give you more value for your money. Warranty: lifetime on frames, 10 years for motor, 5 years for bumper to bumper mechanical, 2 years for electronics and 1 year for labor. If you plan on buying a Sportsart 1210 Treadmill, I suggest you buy directly from amazon for $2,499. It is probably the best place to buy treadmills from Sportsart.